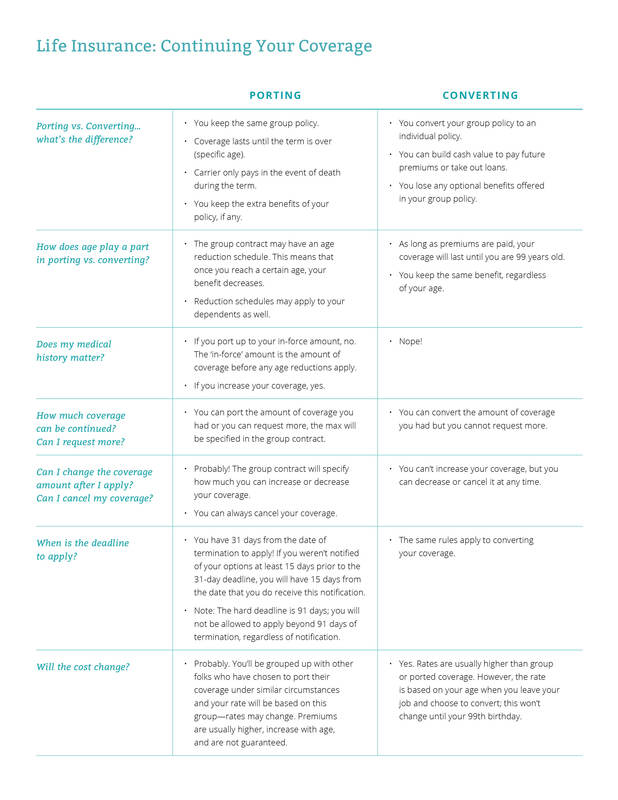 Decide if you’d like to port or convert your policy. Porting means that you are choosing to continue your group policy after employment. Converting means that you are taking your group policy and converting it to an individual policy. If you have questions about your options, contact our Benefits Advising team at benefits-advising@gusto.com so we can help get you the answers you need. Once you decide, apply directly to your carrier. Remember to submit your application to your insurance carrier within 31 days of the end of your coverage.